So this month's focus is on getting control of our finances and planning for our future. I'm quite good at putting together a budget and recently exported all our transactions from the 2015/16 financial year (mostly in handy categories from our online banking). 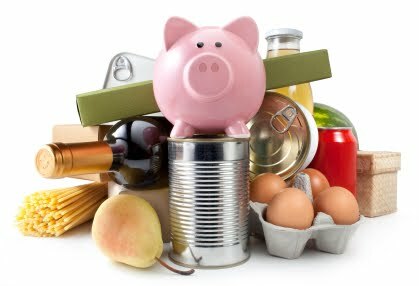 Once I sorted last year's data (and was quietly horrified by our grocery spending - see month 1 challenge!) I put it together with this financial year's predictions and now have a lovely 2016/17 spending plan/budget. We have a bit of money saved and are keen to see what the financial planner recommends in terms of future plans. We don't really know what to do - there are so many options! We could potentially buy an investment property, buy a home to live in, or invest in shares or a managed fund. I recently did a great online course at 10,000 girl called the 'Online money makeover'. The course taught me the importance of planning for the future, and also for looking at all the options in terms of investing. It demystified the share market for me and I would highly recommend it. I even set up an online broker account with my bank and bought some shares! So my partner and I need to figure out our priorities. I'm really torn between staying in our fabulous (and very cheap) rental property, and the urge that I have to own our own home. Buying a home to live in would mean moving suburbs (we currently live in Northcote in inner Melbourne, which has crazy property prices) and all things associated with moving: losing our network of friends at school/kinder/playgroup/sporting activities, moving further away from work (my partner currently rides to work and the public transport options here are also fabulous), losing our fabulous neighbours (who are now good friends), and losing our ability to save money/adding financial stress to our lives. Anyway, each time I try to book in our budget/planning evening, we're derailed by illness or tiredness. So hopefully next week!